We’ll show you, how to install Odoo 11 on Ubuntu 16.04. 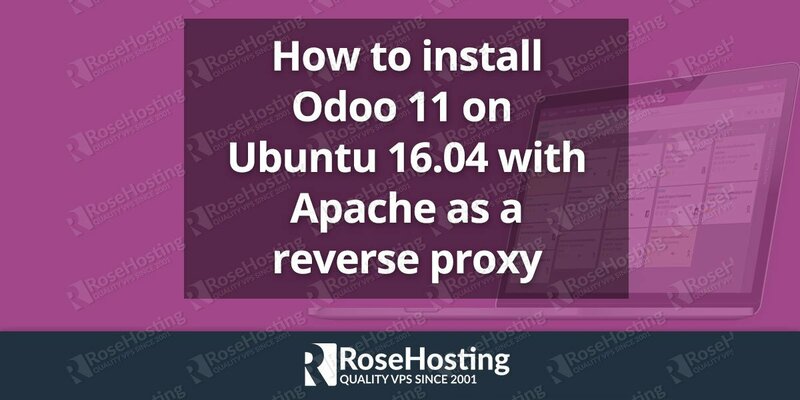 Configure Apache as a reverse proxy for your Odoo 11 so you can access your Odoo 11 application via a domain without typing Odoo’s port in the URL. Odoo 11 is one of the most popular and most powerful Open Source ERP business software based on the Python programming language. For this version, much of the focus is given on the intuitiveness, usefulness and better accessibility to the end-users & development team. With Odoo Version 11, we can see new website dashboard incorporated with various keyboard shortcuts which makes navigating through Odoo quicker and easier than ever. In addition to this, there is a new global search option in the homepage itself. Installing Odoo 11 on Ubuntu 16.04 is not so complicated process and if you follow the steps below, it shouldn’t take longer than 20 minutes to install Odoo 11 on Ubuntu 16.04. Before you begin, you need to connect to your server via SSH. 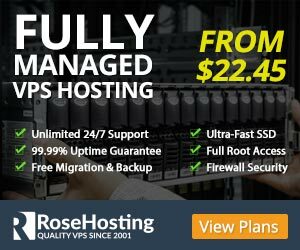 Also, if this is your first time logging to your VPS make sure you check out our First Steps After Getting an Ubuntu VPS tutorial. To install Odoo 11 on our system we will use a script made by Yenthe Van Ginneken. 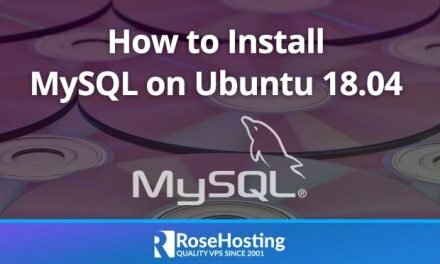 For example, you can change the version you would like to install, the location of where it will installed, whether you install the enterprise version or not and most important you can change the master admin password you would like to use. After you make the desired changes, make sure you save them. Now we can run the script and wait until Odoo 11 gets installed. Congratulations! Odoo 11 has now been installed on your Ubuntu 16.04 VPS. and change the admin_password field with a strong password. You can also generate one from the command line. To access your Odoo, open your browser and navigate to http://your-server-IP:8069. Initially, you would be asked to create a new database. Once the database is created, you will get redirected to the admin panel from where you can log in as the admin user. After successfully logging in you can start using your Odoo 11 and configure it to your needs, install additional modules etc. In order to access your Odoo application only by using your domain name, without the port number in the URL, we need to set up Apache as a reverse proxy. That’s it. If you followed all of the instructions properly you can now access your Odoo 11 using your domain name. Additionally, if you would like to improve the performance of your Odoo, you can also check out our tutorial on How to speed up Odoo. You dont have to know how to install Odoo 11 on Ubuntu 16.04 If you have a Odoo VPS Hosting with us. You can simply ask our administrators to install Odoo 11 on Ubuntu 16.04 for you. They’re available 24/7, and will be able to help you with the installation of Odoo 11 on Ubuntu 16.04. PS. If you enjoy reading this blog post on How to Install Odoo 11 on Ubuntu 16.04, feel free to share it on social networks using the shortcuts below, or simply leave a comment. 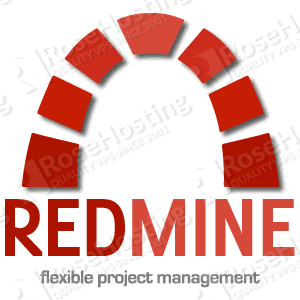 Install Redmine on an Ubuntu 14.04 server with MariaDB, Puma and Nginx. Hi Y. thanks for the great script, the only issue is, after doing a fresh install of Odoo 11 community on ubuntu, 16.04 and 14, i got the same error. Behavior after installation, after the script has been executed. Looks like there has been an issue, and Odoo is not installed properly, cause when i look in the odoo-server.conf, the file is empty. Also the odoo log file doesn’t even exist at all. I tried folowing step to install manuall some dependencies regarding the psycopg2 error. Restarted Odoo-server, nothing is working. Our tutorial is tested and it is working as expected. Please make sure that postgresql and postgresql-server-dev-9.5 OS packages are installed on your server. I have the same issue as Peido Noales. Did you find any solution? Please make sure that postgresql and postgresql-server-dev-9.5 packages are installed on your server. I have the same Issue as Rasmus. Is there any solution? postgresql and postgresql-server-dev-9.5 packages are installed on my server. Hi guys, i have installed succesfully Odoo 11 in my server with your script but i cant connect to odoo using http://my-ip:8069. Its show the message “ERR_CONNECTION_TIMED_OUT”. Im only follow the steps before “Setting up a Reverse Proxy”. How can be the problem ? There seems to be a bug with the current version of the installation script. Please check below for more information and possible solutions. But the configuration is always redirecting me to root directory. 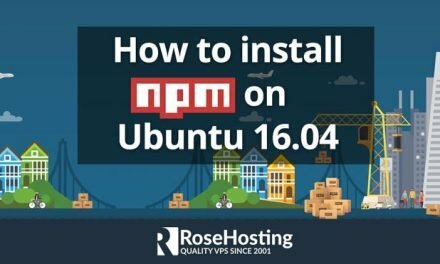 Nice tutorial, but i want to know how to deploy same server in non-root directory.